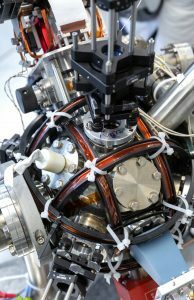 New kilogram definition; quantum compass; quantum processor. After years of debate and scientific work, a group of delegates from 60 countries have voted to redefine four key unit measurements—the kilogram, electric current (ampere), temperature (kelvin), and the amount of substance (mole). The vote took place at the recent 26th General Conference of Weights and Measures. 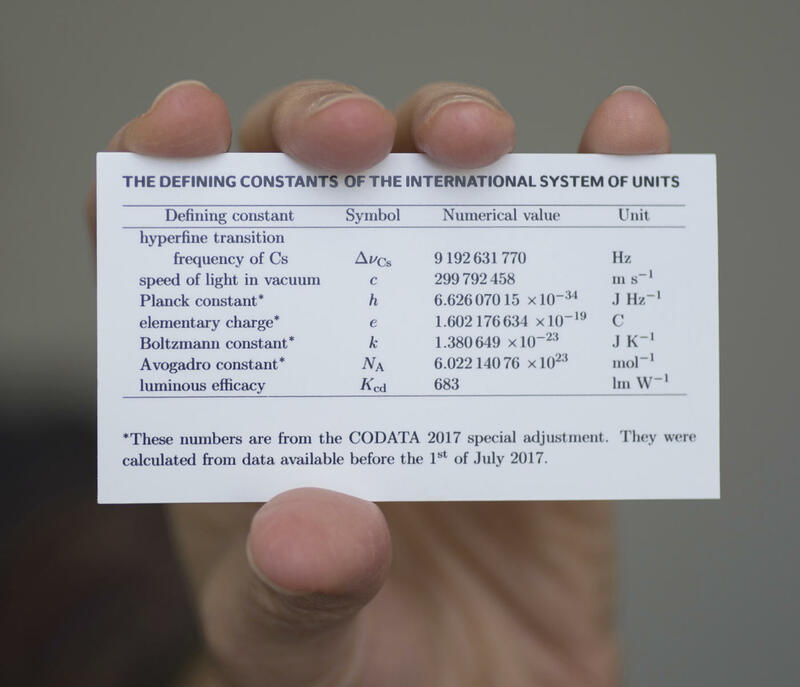 Hosted by the International Bureau of Weights and Measures, this represents the first major change for the International System of Units (SI) in more than 130 years. Starting on May 20, 2019, these measurement units will be defined by natural phenomena instead of physical artifacts. For example, there is only one true kilogram today. This physical artifact, dubbed the Le Grand K, is secured in a vault in France. It is used to calibrate all measures of mass, but this artifact is no longer accurate enough for future R&D. 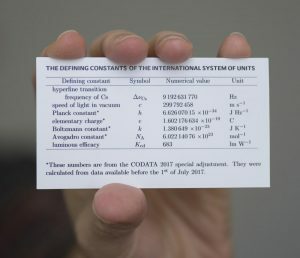 In May 2019, the kilogram will be based on three fundamental constants: the Planck constant, the speed of light and the cesium atom’s natural microwave radiation. Other SI units will also be refined. “We can now measure everything more accurately using knowledge of how the universe operates at the atomic level than we can using objects we can see and feel,” said Jon Pratt, a researcher at the National Institute of Standards and Technology (NIST), on the agency’s Web site. The Imperial College London and M Squared have developed a quantum accelerometer or compass, a technology that could allow for navigation without relying on satellites. Today’s aircraft or space systems use a global navigation satellite system (GNSS) for navigation. This technology, such as GPS, sends and receives signals from satellites that orbit the Earth. At times, though, satellite signals are halted due to a malfunction. They can also become blocked or jammed. To solve the problem, researchers propose the use of a quantum accelerometer. Used in various systems, an accelerometer itself is an instrument for measuring acceleration. This measures the rate of change of the velocity of an object. Accelerometers work, but they cannot maintain a certain accuracy over longer periods and without an external reference, according to Imperial College London and M Squared. In contrast, the quantum accelerometer is a self-contained system. It relies on precision and accuracy, which is measured by using the properties of super-cooled atoms. Lasers are required to control the atoms in this system. In a system, the properties are affected by the acceleration of the vehicle. The accelerometer measures these tiny changes accurately. “When the atoms are ultra-cold, we have to use quantum mechanics to describe how they move, and this allows us to make what we call an atom interferometer,” said Joseph Cotter from the Centre for Cold Matter at Imperial. CEA-Leti, CEA-INAC and Institut Néel have been funded by the European Research Council (ERC) to develop a quantum processor. The project, called QuCube, aims to develop a quantum processor based on silicon. The processor will support at least one hundred quantum bits, or qubits. The partners in the project will explore the architecture implementation of a quantum processor. They will also look at quantum bit variability, thermal dissipation and other issues. QuCube is one of 27 projects funded by the ERC.